Everyone dreams to fly like a bird high in the sky! Make your dreams a reality by experiencing this most popular Adventure ride in our park. Fly in the sky above Vrindavan Garden and feel the cool breeze coming from Ajwa Sarovar. Spread your hands like wings and joyfully glide with our zip line. 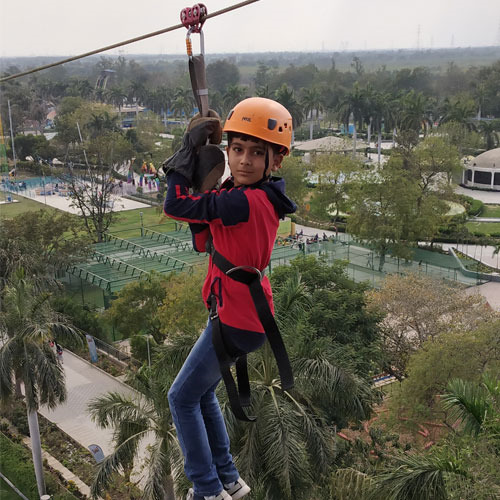 Feeling the sensation of flight at a height of 90 feet above the ground is truly a mesmerizing experience.